Last week many bloggers and website owners faced a sudden drop from 50 percent to 90 percent in their website traffic. Because Google Updates its Algorithm! The whole web was in a buzz for a couple of days as Google penalized many websites for their poor content. There is no doubt that webmasters are shocked yet surprised as the search engine giant changed its style. Now, a lot of websites had a huge blow in facing absence in search engine result pages. Popular forums and discussion sites are filled with queries and sorrows as the websites are penalized due to obvious reasons. One of the senior officials of Google, Gary Illyes, tweeted humorously that every Google update will now be known as Fred. The search engine giant has neither refused nor accepted the changes in the algorithm. They remarked that they are not making major changes in their algorithm as there are smaller changes which are making the whole search experience better. 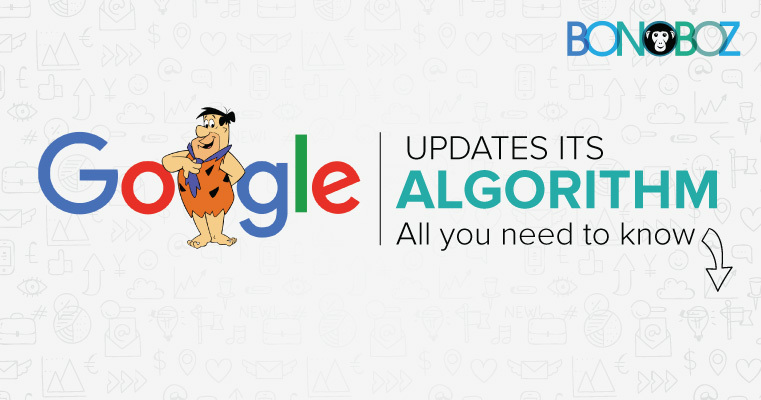 The websites which are exempted from this massive unannounced update from Google, are having good link building. In other words, the websites which are having good dofollow backlinks from great authoritative websites are not penalized. However, this update punishes the websites which have spammy and low-quality backlinks. Google considers such websites as not trustworthy because of their link building. Also, advertisement drove and revenue motivated websites are punished by Google. Such websites who do hide or promote something in their content, have hidden ads, indirect affiliate links, poorly placed advertisements on the web page are deeply hurt by Fred update. However, websites which focus on quality content, as well as proper advertisements’ placements, have no effects on their search traffic. This is very beneficial in user’s perspective. Often users visit some websites, they have to face popups, unwanted redirection, spam affiliate links. The content which they were looking for is hidden or cannot be properly seen on the webpage. So this update will encourage webmasters to not place ads anywhere they like. If your website is negatively affected due to changes in the Google’s algorithm, you must get your link building strategies very seriously. Also, keep in mind that quality is the most dominating factor in building backlinks. One quality backlink over hundreds of common links can create a lot of impacts. Here, always try to get relevant backlinks. Though links from high domain authority help, relevancy also plays the crucial role in getting organic traffic through link building. This update will severely affect the activities like black hat SEO, using tools that create automatic backlinks, link exchange, and link purchase, etc. There is no second thought in accepting that running and maintaining a website requires cost and energy from the owner’s side. Hence, we cannot ignore the expense that an owner has to bear to keep the website running. To respect this point of view, it would be okay if you keep a fair amount of advertisement while not hurting the readability. So modifying your placements and quantity of the ads on your website would help you in recovering.